This energy company based in Denmark is a global leader in offshore wind with around 30% of global capacity and operations in Denmark, UK, Germany and Holland. It also operates several wind farms outside of Europe in the US and also Taiwan. 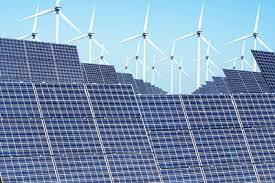 Renewable energy is very much in the ascendancy due to concerns about climate change. It is estimated the global wind energy sector will attract investment of $1 trillion over the next 10 years as the world makes the transition to low-carbon energy. The company has made a remarkable transformation of its business model over the past decade. It was formerly known as DONG - Danish Oil & Natural Gas - and, as its former name suggests, was involved in energy production from North Sea oil and gas and also coal-fired power. In 2008, the company decided to change its business model from black (fossil fuels) to green (renewable wind energy). At that time the company was 90% oil/coal and 10 years later, it has moved to 75% green and aims for 100% by 2025. In 2016, the company floated on the market in the second-largest IPO in the world that year. The following year it sold off its North sea oil and gas business to focus on renewable offshore wind and also changed its name. The float price was 235 DKK and just under three years later it has risen to 500 DKK. Their offshore UK operations have the capacity to supply over 3 million homes with green electricity. This will increase to 5.5 million homes when current additions at Hornsea 1 & 2 come online in 2020. This development will be the largest offshore wind farm in the world. 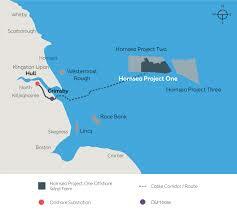 There are two further phases at Hornsea in the planning stage and a further wind farm proposed off the Isle of Man. “Hornsea 1 is the first of a new generation of offshore power plants that now rival the capacity of traditional fossil fuel power stations. The ability to generate clean electricity offshore at this scale is a globally significant milestone, at a time when urgent action needs to be taken to tackle climate change. “Ten years ago, the thought of a project of this size was just a dream, but thanks to continued innovation, a determined effort from both the industry and supply chain to drive down costs, and the natural geographical benefits that surround us, the UK has positioned itself as a world-leader in offshore wind". 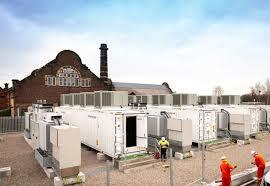 Last December, the company installed a 20MW battery storage facility at Liverpool. Variable wind generation (and solar) leads to grid supply volatility. While natural gas is still providing 50% of our energy requirements this is not a problem but as the proportion of renewable capacity grows (currently 30%), there will be an increasing need for storage of wind/solar to smooth out energy distribution via the network. Full year results (pdf via company website) for 2018 were announced earlier this year. Net profits increased by 46% to DKK 19.5bn (2017 13.3bn). The share price increased by 28% over the year to DKK 436 having risen as high as 474 in November. The company currently has net cash of DKK 2.2bn. Return on capital is running at 32% (2017 25%). The shares yield around 2.0% based on the current price of DKK 495. The company has ambitions to increase its current wind portfolio from 5GW capacity to 15GW by 2025 and then double to 30GW by 2030. The firm expects a 20% annual increase in profits and will be investing DKK 200bn ($30bn) in renewable projects over the next 5 years. It has identified next stage development potential in Poland, India, South Korea and Japan as well as looking into the feasibility of floating wind technology. The company's vision is to see a world run entirely on renewable energy. In the latest annual report, the CEO says he expects the market in renewables to triple over the next decade and expects Orsted to take part in this global build-out. To help combat climate change, the world needs to transition quickly from fossil fuels to renewables. 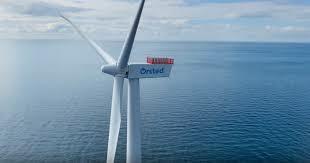 Orsted aims to be part of this change and wants to be part of the solution. It targets enough clean energy to power 50 million homes by 2030. I would prefer to hold this as part of a collective investment trust or ETF but, so far, have not seen it listed so I have decided to add it as a stand alone share holding. All this looks reasonably positive so I have added this to my 'green' portfolio. The purchase price was DKK 490 or UK £57.00 per share. I very much appreciated the BBC's 'Climate Change - The Facts' Thusday 18th April presented by Sir David Attenborough. Definitely worth watching on iPlayer if you missed it. I added this investment trust to my ISA portfolio last October in response to my growing concerns relating to climate change following the IPCC report (COP 24) and the possible implications for the economy and investments landscape. Impax (IEM) is an investment trust with a market cap. of around £550 million and its objective is to help investors benefit from growth in markets for cleaner and more efficient energy, water and waste services. The trust was launched in 2002 and is run by Jon Forster and Bruce Jenkin-Jones who have a long term record of experience and expertise in this market. They see a strong momentum in these areas and wish to appeal both to those who require growth from their investments as well as those who are more concerned about the environmental impact of climate change. IEM is focussed on global growth and the portfolio has around 60 holdings - predominantly smaller and medium sized - mainly in USA (41%), Europe (34%) and Asia/Japan (18%). The main sector focus is Energy Efficiency (33%), Water (20%), Food/Agriculture (14%), Pollution Control (10%) and Renewables (9%). Whilst returns for NAV fell by 10%, the discount narrowed considerably over the year due to strong demand from retail investors. The share price total return was -0.4%. Net revenue for the year increased to £5.7m (2017 £5.1m) which equates to 3.2p per share. The company pays out most of the income and they have declared a 20% increase in the final dividend from 2.5p last year to 3.0p which is payable end May. This gives a yield of just over 1.0% based on the current share price of 292p. The trust has turned in a decent performance over the past 5 years with a total return of 97%. This compares favourably with some of my other holdings - Finsbury Growth & Income 79% and Mid Wynd 98%. Vanguard Lifestrategy 100 has returned 67% over the past 5 years. My purchase price last October was 265p and currently around 292p so going in the right direction after a sharp sell-off at the end of last year. The return since the start of 2019 is 16%. "2018 started with a severe drought in Cape Town and ended with Californian wildfires, highlighting the need for innovation and investment in environmental markets. Evidence linking extreme weather events and climate change appears to grow stronger every year. Morgan Stanley recently estimated that global damage caused by climate-related disasters for the last three years alone stood at around $650 billion. In October, the latest Intergovernmental Panel on Climate Change (IPCC) report suggested that if annual global emissions were maintained at current levels, then damage costs by 2040 could reach $54 trillion. It is hard to digest the size of such figures, nevertheless the implications are clear". "Opportunities for businesses to deliver emission reductions, for example via energy efficiency and renewable energy solutions, and to adapt to changing climate, for example via grid resilience and water infrastructure, are growing. The global drivers for companies providing environmental solutions remains very compelling, especially in China and the rest of Asia. The behaviour and preferences of consumers, and policy developments, are supportive and evidence of this is already visible in companies' order books. And we are seeing an increasing number of disruptive events, such as electric vehicles and the war on plastic, that point to an accelerating growth trend". In the past week we have a report from Blackrock assessing the climate-related risks to the US economy with a focus on municipal bonds, mortgage-backed securities and electricity utilities. Clearly this is an important issue and the 'big boys' of the investing world are starting to take it very seriously. IEM was the first 'green' fund to join my portfolio last year at the point when I decided to make some changes to align my investments with my beliefs and lifestyle. Since this time I have made several more changes to divest away from fossil fuels such as big oil/gas - Shell and BP for example - which have been responsible for greenhouse gas emissions and climate change. I really do not want to invest my money in and profit from these companies. As more people become aware of the implications of climate change, and the enormous threats posed to our way of life if not addressed, I hope the businesses such as the ones supported by Impax Environmental will benefit and grow stronger. "The global economy will probably double in the next 20 years and that helps us understand how fast we have to move and what we have to do. Because at the same time as that global economy doubles, we're going to have to cut our overall emissions absolutely by 30 - 40% or more. That means that we have to be doing things differently within the next 20 years, which means that we have to be investing in a very different way, starting from now". Just a brief update to my post relating to this clean energy addition to my portfolio last month following the release of full year results. The trust has raised £302 million in a heavily over-subscribed share offer. They issued an additional 265m new shares at 114p, with half allocated to existing shareholders. This is a 3% discount to the current share price of 118p and of course there are no dealing charges or stamp duty. Unfortunately, due to the heavy demand for the shares, my application was scaled back and I received around 60% of the additional shares I applied for. This will now make TRIG the largest trust in the sector with a market value of £1.8bn compared to Greencoat UK Wind at £1.7bn. The bulk of this money - £247m, will be used to repay credit for the two recent acquisitions in Sweden. "The Board would like to thank TRIG's existing shareholders and new investors for their support in the Company's fundraising. Such significant oversubscription for this initial issue under the share issuance programme is testament not only to TRIG's demonstrable track record in delivering long-term, sustainable income but also to TRIG's commitment to de-carbonisation. This equity issue enables us to capitalise on our exciting near-term investment pipeline and continue to deliver sustainable value to our shareholders." The trust pays a quarterly dividend and has a full year target for 2019 of 6.64p which represents a yield of 5.8% of the new issue price. Last Friday, the company also announced a deal to acquire a new 40MW onshore wind project in Burgundy, France and which should be operational by early 2020. I was reminded of this ETF in a comment to my article last month My Global Index Funds Under the Spotlight. I placed it on my list for further research. I think I may have looked at it some time back as the ticker INRG is familiar but must have dismissed it as the performance would have looked below par until recently. As the name indicates, this is a fund which has a focus on sustainable energy such as wind, hydro and solar. The ETF tracks the S&P Clean Energy Index. It has just 30 holdings which include some of the big players in renewable energy from around the world. In just the past few years, the landscape for renewable energy has changed quite dramatically. The big driver behind these changes is the growing threat posed by climate change and the realisation that we need to dramatically reduce global CO2 emissions. One of the most important steps we can take to minimise the effects of climate change is to find reliable, affordable sources of power that can be used by everyone around the world without generating greenhouse gases. This means clean electricity and we need to continue to find better ways to store and transmit this form of energy. It's not too difficult to imagine a world in the not too distant future when just about everything is run on renewable electricity. Here's an interesting research article produced for Bill Gates' Breakthrough Energy. In Germany, many homeowners are installing a combination of roof-top solar with battery storage. Around 50% of all new orders for solar PV also include storage. This makes a lot of sense because it's very inefficient to feed this energy into the national network. (article link). Here in the UK we have seen a big increase in wind and solar. Just last week I noticed from MyGridGB site that wind power was generating over 40% of our energy one windy day. 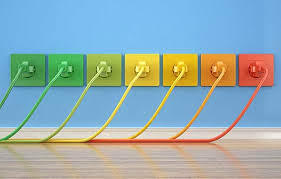 Many of the companies involved in the transition to a more sustainable world energy transition are featured in this global ETF and this provides an opportunity for me to tap into this sector whilst at the same time being broadly diversified and therefore not too exposed to any single company. CEMIG - based in Brazil and engaged in electricity production from hydro-electric and wind farms and responsible for generating around 12% of the country's distribution. Vestas Wind - A global leader in wind, responsible for the design, manufacture, installation and servicing of wind turbines in 80 countries worldwide. They are responsible for installing more wind power than any other company. Siemens Gamesa - based in Spain and involved in the manufacture of both onshore and offshore wind turbines. Their mission is to become a global leader in the renewable energy industry driving the transition to a sustainable world. First Solar - a global provider of PV solar energy solutions. They provide the latest technology solutions which are an increasingly economically attractive alternative to fossil fuels electricity generation. Verbund - Austria's largest electricity supplier, some 90% of which comes from hydropower. It also operates several wind farms in Austria, Romania and Germany. The fund was launched in 2007 and was hit hard by the crash of 2008/09 losing 50% of its value within the first 18 months. Progress since then has been slow and total return for the past 5 years is just about break-even. However, there has been some signs of life in the past few months and the shares are ticking up 18% since the start of this year. I am hoping this will continue over the coming months and years as we see the inevitable transition from fossil fuels such as coal, oil and gas towards clean energy and a more sustainable global energy system. Ongoing charges are 0.65% and the yield is around 2.5% depending upon exchange rates. My purchase price was 433p and the ETF is held in my SIPP portfolio. Spurred on after reading 'The Uninhabitable Earth' and inspired by the school strikes for climate last week, I decided to make another addition to the renewable energy section of my portfolio. Admittedly it's probably not doing much for the environment as I am merely acquiring the shares that someone else is selling but the other side of this coin is that the money for the purchase comes from the sale of less ethical investments. Also there is an undoubted 'feel-good' factor in holding investments which are making a positive contribution in the fight for climate which is not to be under-estimated. Foresight Solar (FSFL) is an investment trust which hold a diverse portfolio of 54 PV assets mainly in the UK but now also in Australia. All assets benefit from government backed subsidies - mainly renewable obligations in the UK. It has increased in size three-fold since raising £150m at launch in October 2013, mainly via several placings of new shares for acquisitions. It is now the largest provider of solar in the sector, providing the equivalent clean electricity to power 223,000 homes in 2018. During the past 5 years it has generated an average total return of 6.8% p.a. for shareholders. This is mainly in the form of dividends - currently 5.9% based on my purchase price of 114p. Large fund managers such as BlackRock, Newton, Baillie Gifford and Legal & General have significant holdings in the investment trust. They have recently published full year results for 2018 (link via Investegate). Profits have increased by 60% to £56m (2017 £35.1m) and net asset have increased to 111.2p per share (2017 107p). The trust has paid dividends of 6.58p and has a target of 6.76p for the coming year - an increase of 2.7%. Electricity generation was higher than expected due to the exceptional sunny weather in the UK. 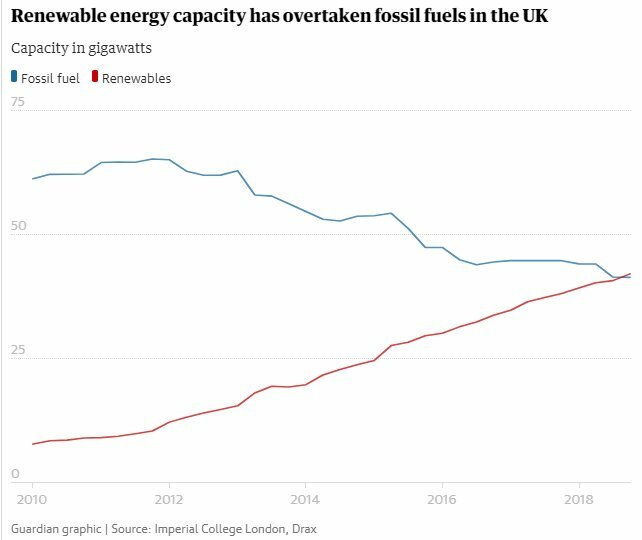 In September the capacity for renewables surpasses fossil fuels for the first time and over the past 5 years renewables have trippled whilst capacity for fossil fuels has fallen by 1/3rd due to the decommissionong of old coal-fired power stations. The UK market is expected to need an additional 50GW (minimum) of solar installations over the coming 30 years if the government is to meet its climate change targets. The trust is responsible for generating over 5% of the UKs solar generation and saving half million tonnes of CO2 entering the atmosphere. The trust is looking to further diversify and grow its portfolio over the coming year and will look at opportunities in western Europe as well as potential battery storage to co-locate with existing installations. As with most trusts in the sector, FSFL shares trade at a premium to net assets, currently around 6%. Ongoing charges are 1.18%. "The period under review was one of significant progress for Foresight Solar Fund, with good progress against our operational objectives and the acquisition of 31 assets over the year, funded through two oversubscribed placings. Following these acquisitions, FSFL is now the largest UK‑listed dedicated solar energy investment company by installed capacity. We also continued to focus on portfolio optimisation which, assisted by higher levels of irradiation, led to our UK portfolio outperforming our budget by 4.9%. Following on from the significant portfolio growth in 2018, FSFL intends to take a more opportunistic approach towards secondary market acquisitions. We will focus on optimising our recently-acquired assets, improving the capital structure through a third-party debt refinancing and continuing to deliver strong operational performance across the portfolio. We look forward to a further year of progress." Having made quite a few purchases of UK renewable energy investments in the past few weeks, I think it is probably time to let these bed in and see how they perform. There may well be opportunities to top-up some holdings later in the year as the sector expands and there are more share placings. I came across this investment fund whilst researching the spectrum of sustainable investments for the second part of 'Investing for a Green Future' last November. This is a managed globally diverse equity fund. All holdings in the fund are exclusively attempting to offer solutions to creating a sustainable, low carbon environment. The fund is very transparent and publishes details on each and every company it invests in. It has also launched an impact calculator which allows investors to see how their investment in the fund is helping the environment. Here's a link to the latest factsheet (pdf) for end February 2019. Total return for the WHEB fund over the past 5 years is 60% or average 9.8% per year which compares well against the FTSE All Share index of 30% and 5.4% p.a. The fund is held in my ISA and was purchased with the proceeds from the sale of my Smithson Investment Trust. Purchase price was 208p. Last week, the world's largest sovereign wealth fund which manages $1 trillion (£780bn) of Norway's assets, announced it would remove investments in holdings involved in oil/gas exploration. This will involve the sale of 134 companies including UK-listed Tullow Oil, Premier Oil, Soco International and Ophir Energy. “The objective is to reduce the vulnerability of our common wealth to a permanent oil price decline,” said Norway’s finance minister, Siv Jensen. The share price of Premier Oil has fallen by 33% over the past 6 months - 4% on Friday following the announcement. This represents a shot across the bows of the oil & gas sector and the large fund managers will be taking note and thinking of ways to climate-proof their portfolios which could accelerate very quickly as pressure mounts for action on global warming. As many billions of dollars are released from the sale of such investments, the question to be asked is where will it be reinvested? My guess would be into sectors which are providing solutions to tackle the climate crisis - clean energy, sustainable transport and technology which supports a low carbon future. This addition pushes my green allocation to over 20% which is far more than I was planning at the start of this year. Eagle-eyed readers may have noticed I have now included a 'green' tab to keep track of the various articles relating to this growing sector of my portfolio. "It is worse, much worse, than you think". The opening line of this important book about climate change and the consequences for us all to consider - or not. In just the past year or so, it seems the news stories about climate have become more serious. We've seen wildfires in California, the warmest Summer on record in Australia and the polar vortex in Canada. 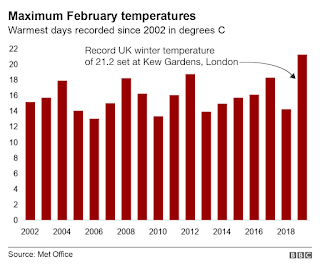 Here in the UK we've recently seen record Winter temperatures of 21C and wildfires in February. The schoolchildren are striking for climate in their hundreds of thousands around the world. Amid all the carnage, the IPCC are warning we are in danger of exceeding 1.5C by 2050 and CO2 levels and other GHG emissions have risen to dangerous levels. Against this background emerges a new book on the subject by David Wallace-Wells. The book expands on an article published in New York magazine in 2017 which was very hard-hitting and scary. Within a week it became the most widely read article ever published in the magazine's history. The core of the book is 12 short chapters looking at the impact of climate change in relation to the elements of breakdown and chaos - hunger, wildfires, air pollution, economic collapse and 'systems'. 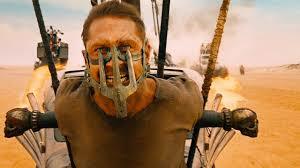 I've seen it described as a description of a dystopian future where 'Mad Max' meets 'The Road'. It goes on to cover in a little more depth the crisis faced by capitalism, the politics of consumption and the role played by technology. The UN estimates there will be 200 million climate refugees by 2050. A warming planet will melt the Arctic permafrost releasing 1.8 trillion tonnes of carbon which is more than double what's in the atmosphere today. Mining Bitcoin uses more energy than is generated by all the worlds solar panels. Milk consumption in China is expected to triple by 2050 and this alone will increase global GHG emissions from dairy by 35%. Every 1C rise in global temperature will reduce economic growth by 1% (current forecast for growth is 4.5%). The global cost of a rapid transition from fossil fuels to clean energy by 2030 would actually save us $26 trillion compared to business as usual. There is 30% more carbon in the atmosphere than at any point in the past 800,000 years. This is uncomfortable reading and yet very necessary to shake us out of our complacency. 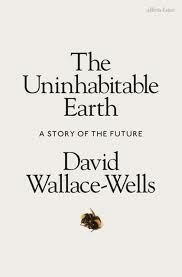 Wallace-Wells has effectively translated all the reports produced by the IPCC and created a very well-written and accessible book which goes beyond the science to bring home some of the horrific consequences of warming and in the process, touch our humanity and hopefully trigger a catalyst for urgent action. The book should and will have a significant impact on governments and everyday life choices of our modern culture. We are living in a world where the average temperature has risen 1.0C above pre-industrial levels of the mid 19th century and yet most of this - 0.75C - has actually occurred in just the last 30 or so years. If we carry on regardless, the increase is likely to be a further 3C by the end of this century. It offers page after page of grim reading and unimaginably dire prospects but there is a point to this. Wallace-Wells points out that we have all the tools already in place to avoid the worst case scenario - aggressively phase out fossil fuels, invest in clean renewable energy, a change in diet away from meat and dairy. At the same time it is optimistic as he points out that if we are responsible for causing this problem we must be capable of undoing it. Our collective complacency and lack of action on climate combined with the carbon-related rises already locked into the system means we are almost certain to see a warming of 2C by 2100, however we know what needs to be done and have the tools to do it, so its down to us all to decide if we want to go to 3C or 4C and beyond in the following century. 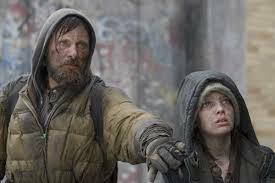 As I read the book, the obvious lack of connection between our actions and the dire prospects we all face was most striking. 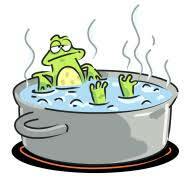 It reminds me of the boiling frog syndrome - if a frog is placed in hot water it will immediately jump out. However if placed in warm water which is very gradually heated up, it will not recognise the danger until its too late and is boiled to death. I think every reader couldn't fail to be alarmed after reading the book - I have become concerned about climate change...now I am alarmed. This is an urgent wake-up call to change our ways on a global scale. I believe the school strikes for climate are likely to be a game changer in the fight against climate and global warming and I think this book will be the same. Feel free to leave a comment below if you have any thoughts on global warming and climate change and what we should be doing to prevent the worst-case scenario. This property REIT was added to my SIPP portfolio in October 2016 following a placing of shares at 132p. Tritax Big Box (BBOX) is the only Real Estate Investment Trust dedicated to investing in and funding the pre-let development of very large logistics facilities in the UK. The company believes these properties, known as Big Boxes, are one of the most exciting and highest-performing asset classes in the UK real estate market. Big Boxes offer tenants economies of scale and cost savings not available from smaller, older buildings. They are also crucial to the efficient and effective operation of retailers, and in particular the fulfilment of e-commerce orders. Because the nature of what the companies use these buildings for is so fundamental to their very existence, Tritax is unlikely to suffer from unexpected vacancies. Over the past year, demand has increased due to Brexit as companies stockpile stock due to the uncertainty of outcome. The group hold a portfolio of distribution assets which are located close to motorways and are let to tenants including some of the leading supermarkets - Sainsbury, Tesco, Morrisons as well as M&S and Next. Some other tenants include Amazon - the world’s largest electronic and e-commerce retailer, Argos and Ocado - the world’s largest dedicated online grocery retailer. The UK has been one of the fastest global adopters of online retail and continues to exhibit significant growth in the sector, driving new demand for logistics real estate including Big Box assets. Successful large-scale retailers (online and conventional) and logistics providers are increasingly relying on this format. Tritax Big Box was first listed at the end of 2013 at an initial floatation price of 100p. During 2016 it raised £550m of equity through two substantially oversubscribed share issues. In the past year it raised a further £250m which was invested over the year in various acquisitions and brings the market cap to over £3bn. They have this week issued results for the 12 months to end December 2018 (link via Investegate). Total Shareholder return for the period was 12.1%. The company target a total return (being the increase in EPRA NAV + dividends paid) of 9.0% per year - the figure for 2017 was 15.2%. Earnings increased by 8% to 6.88p per share and total portfolio assets are valued at £3.4bn across 54 assets (2016 £2.6bn across 46 assets). Building on payouts for the previous years of 4.15p, 6.0p, 6.2p and 6.4p in 2017, the declared dividend for the full year 2018 is 6.7p with a target of 6.85p in the coming year. At the current share price this provides a fwd yield of ~4.7%. The dividends are covered by adjusted earnings of 6.88p, which are underpinned by strong rental stream and low cost base. "The quality of the Group's portfolio and Customer base mean that we are confident of continuing to deliver secure dividends to Shareholders, resulting in attractive returns in a low interest rate environment. While the continued delays and lack of clarity over Brexit presents a substantial uncertainty for the UK economy, our market has remained robust. Since the referendum in June 2016, occupiers have continued to search for space, rents have risen and yields have hardened. 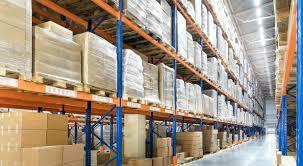 Brexit is also encouraging manufacturers and retailers to hold additional stock domestically, increasing occupational requirements for UK warehouse space while supply constraints continue. This reinforces the favourable dynamics for landlords. Nonetheless, Brexit does present significant risk for the UK economy which could impinge upon the current positive attributes of our market. We see good opportunities to continue to add assets to the portfolio at prices that create value at the point of purchase. Following the db symmetry acquisition, we now have the ability to bring through our own developments which are expected to contribute materially to earnings growth and our progressive dividend policy over the medium term." I like what I have seen so far and I believe the model offered by Big Box which is basically tapping into a part of the online revolution, has potential for growth as well as a fairly secure dividend underpinned by the long leases and upward only rent reviews. The share price has gained 9% compared to my purchase price of 132p. In addition, I have received a dividends of 13.1p and the prospect of a further 6.85p for the coming year. The way we shop has changed quite significantly over the past decade and internet sales are forecast to account for over 25% of total sales by 2020. To remain competitive in this environment, retailers need to have large, highly efficient distribution facilities that can fulfil orders quickly and accurately. This need is only becoming more acute as customers demand ever-shorter delivery times. The demand for the warehouse boxes offered by this REIT is likely to remain strong which means the dividend is reasonably secure and should easily keep pace with inflation. I first read an in-depth review of this investment trust via IT Investor last October and it has been on my watchlist for the past few months as I mull over my 'green' investment options. It's focus is purely on solar power in the UK and the technology is advanced but fairly simple with few moving parts to go wrong. Their latest research article of last month - Walking on Sunshine - is interesting and provides a comprehensive analysis of the current state of play. The combined output of electricity is sufficient to power 150,000 homes. Last week, the company issued half year results to end December (link via LSE). It appears to be on track for a good year with year on year earning up 40% to 4.96p per share (Dec 2017 3.53p). Revenues were 17% above forecast due to the exceptionally sunny weather from July to October. Average UK sun hours in 2018 were 10% above the 20 year average - I expect this trend to continue. In February we had our warmest day ever with 21C recorded at Kew Gardens and 20.8C at Portmadoc in Wales...and wildfires in many parts of the country! 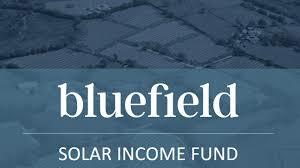 In addition, Bluefield have gained from rising power prices on contracts fixed during this period. The company pays quarterly dividends and has a target of 7.7p for the coming year which gives a forward yield of 6.0% based on the current share price. "Over the first six months of the financial year, the Company has laid the foundations for another strong year. Higher than average irradiation and higher power prices have been matched by a high performing portfolio, producing above expected generation. The Company continues along the pathway of patience and discipline I described in my Statement in September 2018. We have sought to maximise revenues in the existing portfolio, have continued to amortise our long term financing and have continued to elect not to expand our asset base due to high valuations and/or poor quality portfolios. We expect that this patience and discipline will soon be rewarded with the potential arrival of an economic UK market for solar assets without subsidy, for which the Company is well prepared to apply its highly effective investment model for primary market assets by funding through construction. This is the strategy that has allowed the Company to create a high quality and well priced portfolio, delivering in excess of 50% total return to our shareholders since IPO in July 2013." 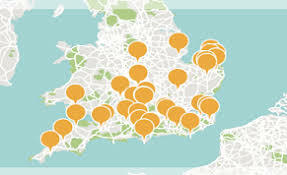 The trust's portfolio has been fairly stable for the past couple of years with 47 solar 'farms' located mainly across southern England. 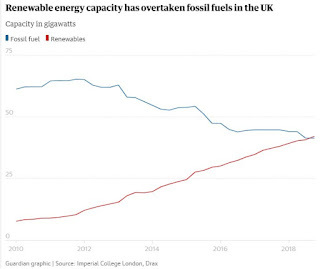 The UK governments subsidy for renewable infrastructure will cease next month (short-sighted imo) however, the cost of solar has fallen dramatically - 50% reduction over the past four years - and this should provide opportunities for growth. One aspect of uncertainty is the life expectancy of its assets. The norm until this point has been 25 years. However, many of the trusts in this sector are seeking to follow the lead of Greencoat UK Wind which recently decided to add 5 years to the life of its assets. I imagine BSIF could easily move to 40 years subject to agreement with the owners of the sites. I understand negotiations have been completed on a quarter of these sites and are ongoing with a further 50%. This could add a further 5% - 7% to net assets. The shares are currently trading at a premium to NAV of around 12%. The trust was added to my SIPP portfolio at 127p and was funded from the sale of Aberforth Smaller Companies Trust following a disappointing response to my email to the chairman. This now boosts my 'green' allocation from 4% at the start of this year to just over 20%. My original aim was 10% for this year but having picked up my copy of "The Uninhabitable Earth" last weekend, I just have to become much more ambitious! (Review to follow...it's v scary).